Sarah Chapman is a name and brand that has done the rounds around the blogosphere. One product stood out the most for me and that was the Overnight Facial. 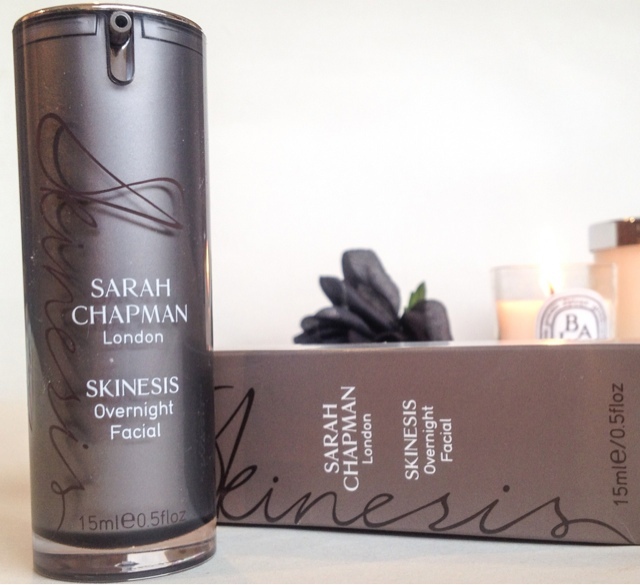 Sarah Chapman's Overnight facial is a potent cocktail of antioxidants, vitamins, omega oils, jasmine and rose flower extracts as well as their skin brightening complex. The oil is meant to recreate the effects of a Skinese facial ( one of her signature treatments), leaving the skin plump, smooth, rejuvenated and glowing from within. 1. The word overnight. I'm lazy, I'm not gonna lie and a product like my Liquid Gold that I can put on and forget about overnight is right up by street. 2. The promise of "plump rejuvenated skin" that "glows, looking fresh, hydrated and youthful". All of these claims had me popping it into my basket in a flash, gulping at the price as I did so. It was an investment for my skin....I will look 32 at 52!!!! First of all packaging.. the slate grey pump dispenser looked very swish, if not slighting deceiving. The jar makes it look like you get more product than you actually do, a little annoying but never the less not a deal breaker. The oil is, well an oil. Pale yellow in colour which is runny, smelling of a mature perfume, floral and musky, not to my taste but something that could be overlooked. I was a little worried that it would be too heavy for my combination skin but the oil felt light and was easily absorbed. It does leave a slight oily residue on the skin but nothing I was too worried about, after all it was an overnight product so it's not like I had to apply make up over the top. It did in fact make the experience feel more luxurious and spa like, something we all would like,.. no? I've been using this now for a good 4 - 5 weeks until recently when I had to stop using it ( more of that later). When I'm testing out a skin product I like to trial it for a few weeks. I'm not naive in thinking it will work overnight (even if that is what the name suggests) but believe my skin has to acclimatize to it, giving it chance to work its magic. I used it once a week as a treatment and slotted it around my current skincare routine. On my first application my skin felt moisturised and nourish, maybe slightly plumper but nothing too noticeable in the morning. I continued to use it but what happened next was not what I expected..
My skin erupted into big cyst like spots all around my mouth and the bottom of my cheeks. 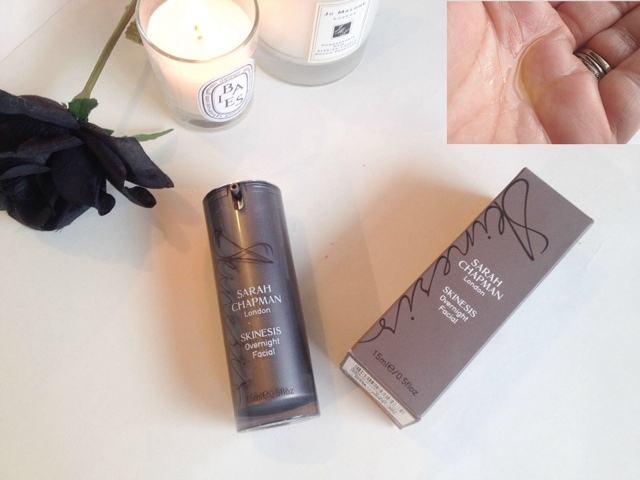 I would treat them as I would do normally, using my holy grail Effuclar Duo and Origins Super Spot Remover. As soon as one spot would start to disappear another will return in its place. This continued for weeks ( felt like years!) and nothing seemed to stop them. Now this was around the festive period and I didn't put it down to this product until only recently. After getting really fed up I decided that is was nothing it do with diet or alcohol ( I've never reacted that why before!) I knew it had to be something else, the only new addition was the Overnight Facial. I stopped using it and within a week my skin was back to normal, when I say normal I still have scarring and the marks left by the troublesome pests but nothing my liquid gold won't sort out in time. It's safe to say I won't be re-purchasing this. Let me know your results if you've used this product. Is it just my skin? how scary! the scary part of being a bblogger no? hope your skin bounces back quickly!